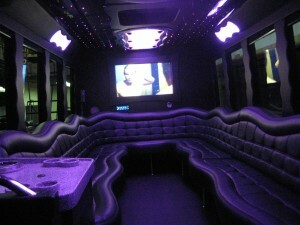 Our 26 passenger Party Limo Bus, Miss Chicago, is the latest addition to the Boji Rides family. 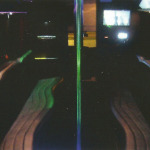 The limo bus features post lighting, mood lighting, an optic light rug and a laser light show. There are also 3 mini bars! It has both 22″ and 32″ LCD TVs, and offers mp3, iPod, and smart phone capabilities. For those who like to build their own videos to a flash drive we have that capability also. 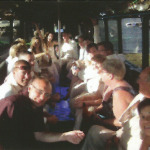 Our chauffeurs are all top notch and extremely qualified. We make sure you have the time of your life. 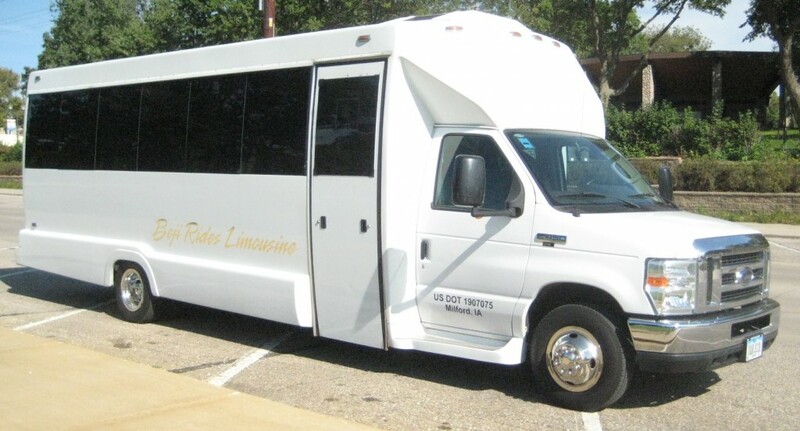 Our 22 Passenger Party Limo bus, Miss Chicago OHare is the Newest addition to the Boji Rides family. 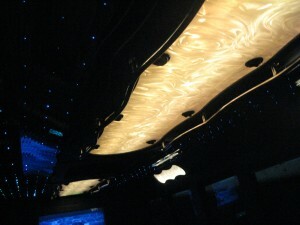 Mood Lighting , LED Lighting and large mini bar! It has both 22″ and 42″ LCD TVs and offers MP3, IPOD and smart phone capabilitys. For those who like to build their own videos to a flash drive we have that capability also. 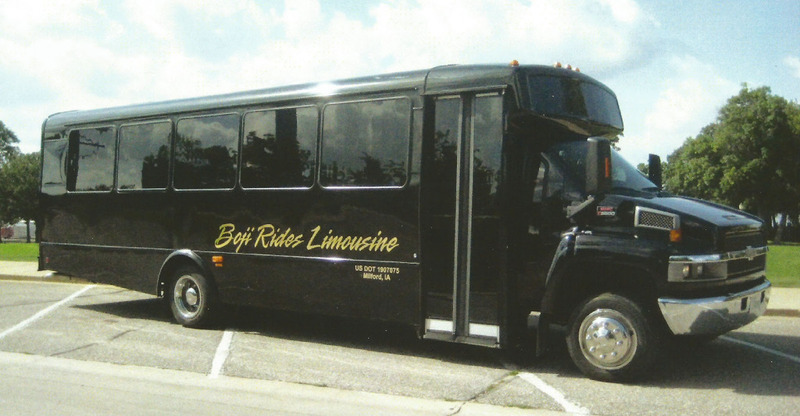 Our 18 passenger party limo bus is the newest addition to the Boji Rides family. It as a 32″ LCD TV, CD and DVD player. 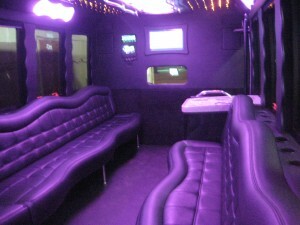 The limo bus also offers MP3, iPod and smart phone capabilities with flashing and laser light show. For those who like to build their own videos to a flash drive, we have that capability as well. Our chauffeurs are all top notch and extremely qualified. We make sure you have the time of your life. 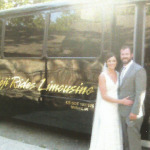 Call for rates and availability 712.330.7070. $100 each additional hour with a 2HR. Min. Additional charges may apply if traveling outside the Lakes Area. Call for availability 712.330.7070.